In this article we covered in detail the physics related to lightning phenomenon and how the surges due to lightning strokes are safely conducted to ground using a lightning protection system consisting of air terminations, down conductors and grounding electrodes. Both these grounding systems are inherently noise prone, since conduction of surges and fault currents into ground is accompanied by a rise of voltage of the conducting parts connected to these systems with reference to the local earth mass. When sensitive electronic equipment first started appearing in the work place, it was usual for manufacturers of these equipment to demand (and get) a separate isolated ground reference electrode since it was claimed that connecting these systems with the building ground would affect their operation due to the ground noise. Thus, the concept of ‘clean’ ground was born as opposed to the other ‘dirty’ ground. While this did give a solution of sorts to the problem of noise, it violated the fundamental requirement of personnel safety. In Figure 1 below, we see three different types of ground each isolated from the others: the power system ground, the lightning protection ground and the ‘clean’ electronic ground. While this is perfectly trouble-free most of the time (when no lightning discharge or power system faults occur), the situation becomes positively dangerous when there is a surge due to lightning or faults. When lightning strikes a building, it produces a momentary high voltage in the grounding conductors due to the inherently fast rise time of the discharge and the inductance of the grounding leads (which is solely a function of their length). Similarly, when there is an insulation failure, the flow of substantial earth fault current causes a perceptible rise of voltage in the metal parts exposed to these faults and the associated grounding conductors (limited to safe touch potential values, but a rise all the same). So while the clean ground which does not develop these high potentials remains at true ground potential, other metal parts or building structures or flooring in its vicinity can all assume a high potential, albeit briefly, during surges and faults. It means that a high potential can and does develop between the electronic ground and the equipment connected to it and the building ground or the lightning protection ground, which gives rise to inherently unsafe situations both for personnel and for the equipment connected to the ‘clean ground’. Another problem with an isolated ground is that the ground resistance of a system, which uses one or two electrodes, is much higher than the common ground. The touch potential of the electronic equipment enclosures in the event of an earth fault within the equipment may therefore exceed safe limits. The answer to these problems therefore lies in connecting all these different grounding systems together (refer Figure 2). Figure 2 shows all three grounding systems tied at a single point to the ground. Theoretically, this arrangement will prevent differential potentials between different grounds. But in practice, such a common ground electrode will have a high value of impedance, which cannot properly disperse lightning surges and will cause an undue potential rise in the grounding system with respect to the earth mass. The arrangement is therefore not of much practical value. 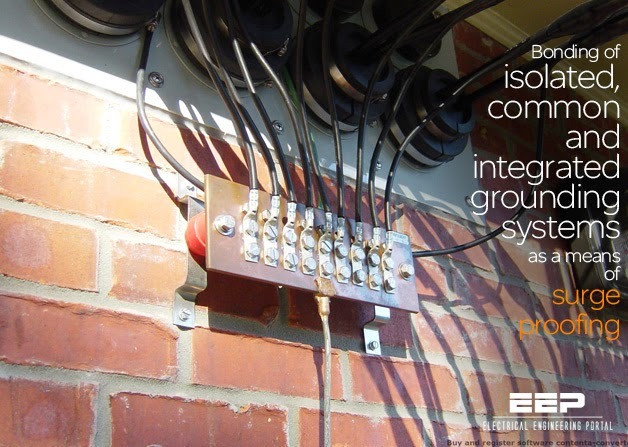 Figure 3 above shows a system with multiple grounding points with different types of electrodes bonded together to form a low-impedance ground path which ties together all forms of grounding within the building. It prevents the grounding system from at taining dangerous potential rise with reference to the general earth mass and also avoids differential voltages between the building’s exposed metallic surfaces and equipment enclosures. It is this type of system that is installed inany modern facility to ensure that no unsafe conditions develop during lightning strokes or ground faults. The grounding system safely conducts away the surge currents led through by different surge protection devices into the ground path when surges occur in a system. Bonding of the different earthing systems is thus the first step toward protection of sensitive equipment against surges.